An elegant backdrop, infused with romance and character is one of the best settings for a downtown Houston wedding, reception, or celebration. The space accommodates up to 215 guests and the indoor area opens up to Downtown through a large, picturesque window offering panorama views of the lights, hustle, and bustle. A flexible room with options to be arranged as a classroom, theatre, boardroom, or various U-shaped configurations depending on the need. The Raven Room is also an ideal location for a catered dinner for up to 40 guests. 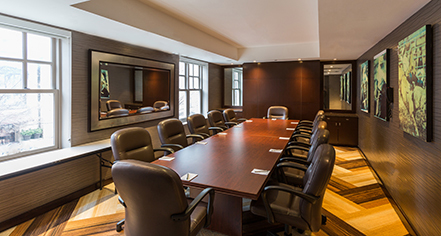 An intimate boardroom ideal for formal meetings, small functions, or a productive business luncheon. 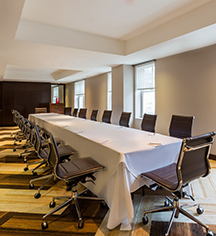 The Sam Houston Private Dining Room accommodates up to 50 guests and features built-in AV capabilities needed for successful events, meetings, and corporate functions.